The story of a train filled with toys and gifts for little boys and girls that breaks down before reaching the children. After asking several passing trains for help over the hill, a little blue train agrees to help the stranded toys. Even though she is small, the blue train tries her best to bring the toys to the children on the other side of the hill. 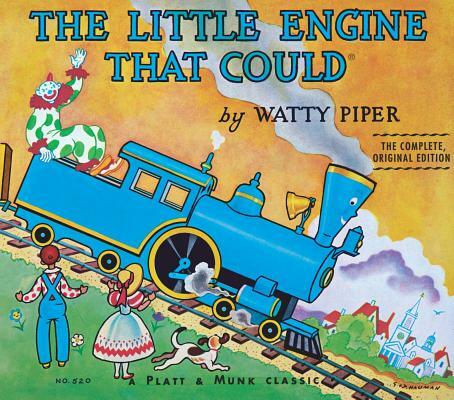 Watty Piper is the pseudonym of Arnold Munk, author behind the classic retelling of The Little Engine That Could and cofounder of Platt & Munk Publishers (now part of Grosset & Dunlap.) Munk’s retelling of the beloved children’s tale has sold millions of copies since its 1930 publication and inspired generations to believe they can.